The National Marine Manufacturers Association recently announced that the recreational boating industry enjoyed its seventh consecutive year of growth in 2018, with annual U.S. sales of boats, marine products and services totaling an estimated $41 billion last year for a 5 percent increase over 2017. Additionally, the NMMA projects that growth will continue on into 2019. While that is great news for the U.S. boating industry, it's also exciting for the U.S. economy as a whole. Recreational boats are unique among most vehicle types in that 95 percent of boats sold in the U.S. are also made in the U.S., reports Boating Industry magazine. As such, the continued growth of boating as one of America's favorite outdoor activities is having a massive and positive impact on the country's economy. In total, the NMMA estimates that the recreational boating industry contributed $170.3 billion in economic activity to the U.S. economy in 2018, representing an increase of roughly $49 billion since 2012, the last year that the association reported estimated economic impact. That figure includes direct, indirect and induced output generated by marine manufacturers, in addition to their suppliers, dealers and retailers, as well as services such as repairs and marina. The total also accounts for boating activities and trips enjoyed by consumers, plus the business tax revenue generated by all of the above forms of economic activity, which support an estimated 35,000 marine businesses and 691,000 direct and indirect American jobs, according to the NMMA. Of all U.S. states, Florida contributed by far the most to recreational boating economic activity in 2018. NMMA's ranking of the top ten states for recreational boating economic activity shows that the benefits of the boating boom spread from coast to coast, though are more heavily concentrated on the Eastern Seaboard. 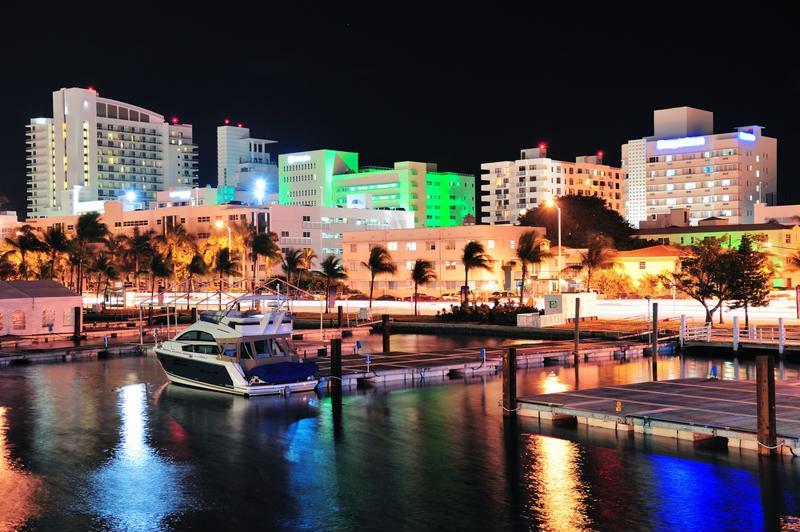 First place by a wide margin belongs to Florida, with the Sunshine State alone accounting for $23.3 billion in recreational boating economic activity. Finishing a distant second is California, which can take credit for $13 billion in economic activity. The herd begins to tighten after the top two, with New York coming in third with $8.4 billion, Texas finishing fourth with $7.7 billion and Michigan rounding out the top five with $7.4 billion in economic activity. The remainder of the top ten belongs to Washington State ($6.9 billion), New Jersey ($6.6 billion), Tennessee ($6 billion), North Carolina ($5.5 billion) and Missouri ($4.5 billion). It should be noted that three of the top ten states are ones which do not touch the Atlantic or Pacific Ocean, and two of which do not even border a Great Lake, illustrating the nationwide appeal of boating. Data shows that a full 62 percent of American boat owners have a household income less than $100,000, showing the wide appeal boating has for buyers from diverse economic backgrounds. Many of the moderate- to low-income purchasers likely contributed to the estimated 998,000 pre-owned boats that were also sold in 2018, which represented the highest pre-owned boat unit sales since 2006. With both new and preowned boat sales rising across the country, now is a good time for boat dealers to be targeting American consumers of all types. To accommodate potential buyers with a comprehensive set of financing options, contact Aqua Finance today.